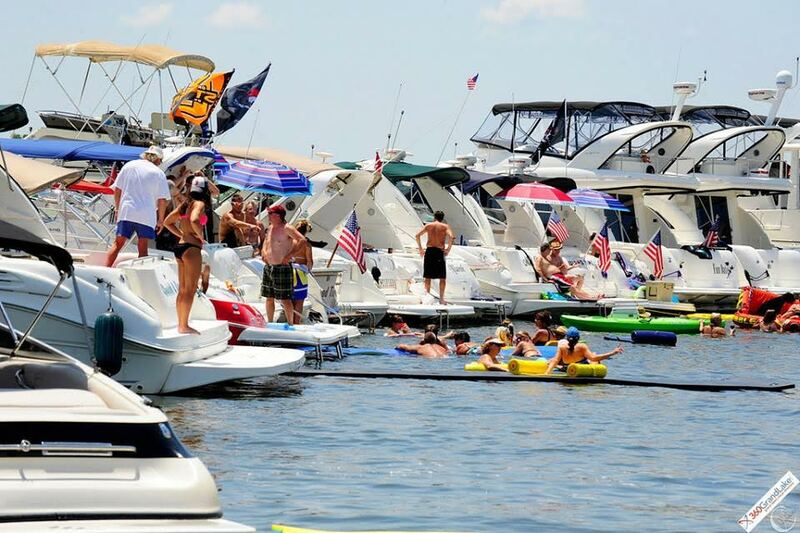 Grand Lake’s largest on the water concert – Aquapalooza – is July 18th, 2015. The National event has become a Grand Lake favorite pastime and the largest on the water concert and raft up at Grand Lake, Oklahoma. This year, Aquapalooza “Grand Lake” will be held in Horse Creek, adjacent to SouthWinds Marina in Bernice. Aquapalooza will be held on July 18th from 2:00PM -6:00PM. The Live entertainment for the event will be The DRIVE Band from Oklahoma City. DRIVE is a 5-piece high-energy versatile multi-genre band that is in high demand across the Nation. The Drive band covers a wide range of music spanning the decades including: Dance, Pop, Rock, Hip-Hop/Rap, as well as Country & Red Dirt. The 30’ by 50’ barge stage will be anchored out in Horse Creek for the 2015 Aquapalooza event, and positioned towards our boating crowd and swim area to ensuring maximum viewing for all of our guests. MarineMax Grand Lake, will also be providing a “Host” SeaRay Yacht for the band and VIP guest at the stage. In front of the stage, we will have a designated swimming area for those who want to get up close and personal with the live music. The swimming area will be complete with water mats and toys for your relaxation and fun! In addition, we will have special giveaways thrown from the stage for the guest to keep and take home with them. If you don’t have a boat to anchor out in the cove for the concert, we will have options to come by land as well. SouthWinds Marina will be within viewing distance of the stage and we will also have official Event boats shuttling guest that arrive by land from SouthWinds Marina to the stage and swim area. Get Ready Grand Lake, we are expecting to host around 4,000 + of your closest friends this year! Plus we will have professional photographers and videographers who will be on hand to capture all of the memories. Once everyone is settled and the concert is in full blast, 360GrandLake will have an official promo boat going through the crowd for more pictures and FREE merchandise from our sponsors will also be thrown out of the boat. 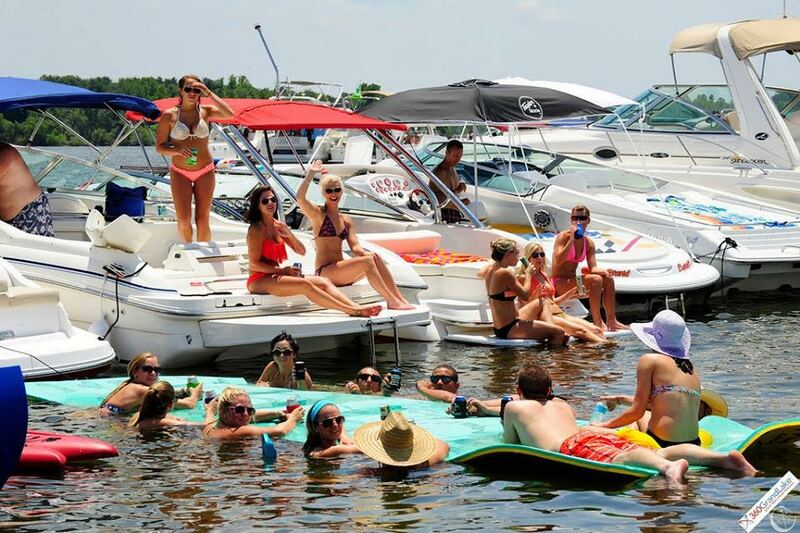 New this year, Aquapalooza Grand Lake will be the Official Pre-party for the Grand Luau that will take place at Book’Ems Restaurant and Pub at SouthWinds Marina following Aquapalooza. The Luau will offer a one-price wristband for guest to feast on a hog and pulled pork that will be prepared by an award-winning smoker just for the after-party. Book’Ems will also offer their regular menu for those that don’t want to indulge in the Luau. Bring your lawn chairs and grass skirts and enjoy the fun Luau games and themed decor of the Grand Luau night. The official shuttle boats will also offer rides to guest who came by water and would like to attend the Luau, in addition SouthWinds Marina also has limited courtesy slips available. For our adult guest that want to make a night of it, we have made special arrangements with The Monkey Island Pub to have SouthWinds Marina as an official “Short Bus” pickup and drop off location. The cost will be $5 per person per trip. The Monkey Island Pub will be having their famous themed pirate night party! Aquapalooza Grand Lake is a FREE EVENT for all ages and would not be possible without our gracious sponsors.